Cebek TL-322 is a two channel transmitter with momentary switch action for Group 3 Cebek RF remote control receivers. It has a range of about 100m in an open space. It uses a carrier frequency of 433.92MHz. This transmitter uses an exclusive single identification code. 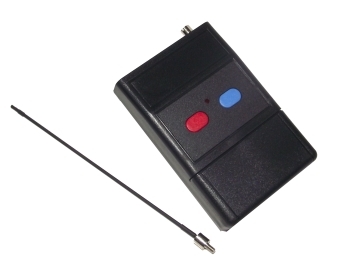 Communication between transmitter and receiver is established via a data frame with a security code, matching transmitters and receivers that prevents the connection from any other RF equipment.